↑ BBC History (2004). 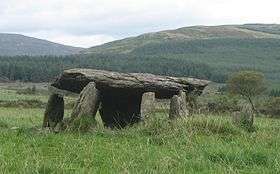 "Irish Neolithic Tombs". Retrieved 2006-09-06. ↑ iol.ie. "A Brief Guide To Irish Archaeological Sites". Retrieved 2006-08-26.